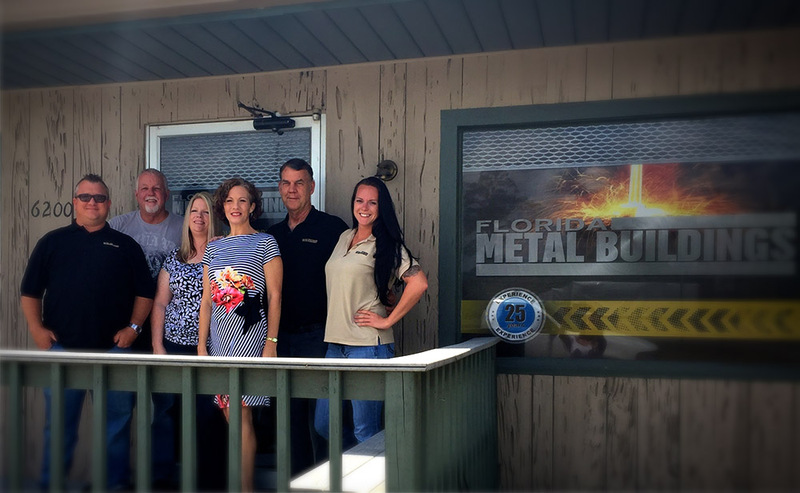 OCALA, FL – Florida Metal Buildings has received the coveted ‘Presidents Award’ from Inland Building Systems, innovators in custom-engineered metal construction. The distinction is awarded annually to contractors exceeding in sales. The honor falls with the acquisition of several Florida contracts, including the Seminole Masonry headquarters construction in Oviedo and Bobcat dealerships statewide. The Seminole Masonry project is 46,000 sf and will consist of six buildings on 22 acres. As Seminole Masonry manufactures split face block, the design incorporated both block and metal and is projected to be complete by late summer 2015. The Bobcat dealership contract involves the construction of 28,000 sf office/bay and showroom space in the Orlando, Miami, Tampa and Fort Myers markets. Florida Metal Buildings CEO Robert Tillander acknowledges the advantages of metal as he expands from equine and aviation builds to large scale commercial.